Wednesday 8th June 2011. On 8 June, 2011, Google, Facebook, Yahoo!, Akamai and Limelight Networks will be amongst some of the major organisations that will offer their content over IPv6 for a 24-hour “test flight”. Needless to say ISOC England has made sure its Internet services including this website, DNS, and email are available on IPv6 as well as IPv4 for this important day. We haven’t just implemented IPv6 up for the day. 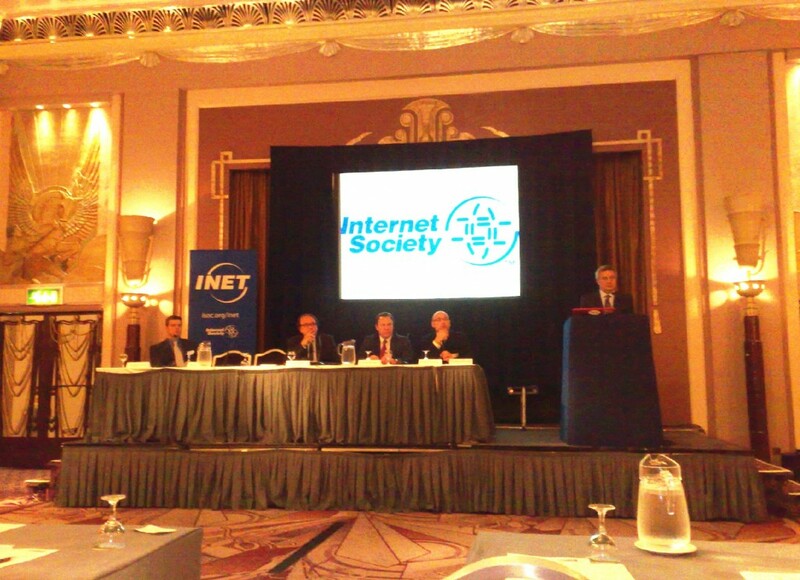 IPv6 availability for isoc-e.org and internetsociety.org.uk is now a permanent fixture. Another ISOC England activity the IPv6matrix project is an important source of information on the deployment of IPv6 around the world. ISOC England’s IPv6 Matrix project is a crawler that tracks IPv6 connectivity in a novel way. See more below. 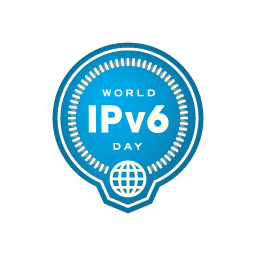 +WorldIPv6Day FAQand an overview presentation that provide some general information on IPv6 Day. 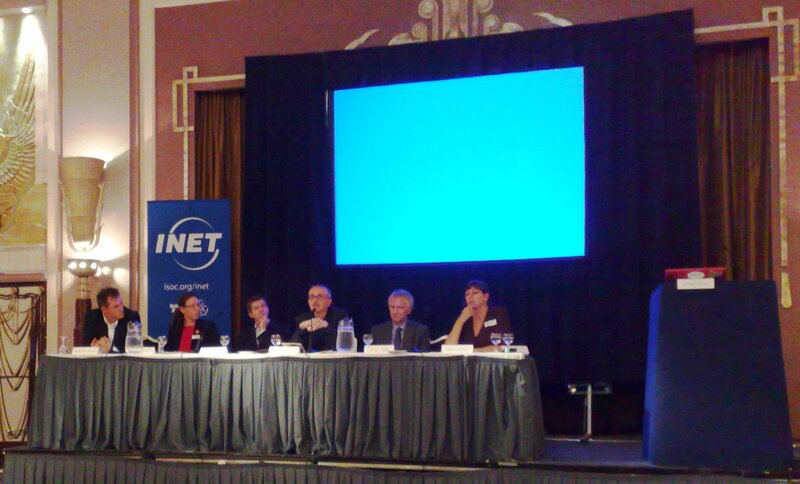 London was recently the location for an Internet Society INET event, on 29 September 2010. This brought more than 170 UK participants to a one day conference hosted jointly by ISOC England and ISOC Global. The Internet revolution: Opportunities, threats and challenges to your business – ignore it at your peril! The range of subjects addressed by the excellent panellists comforted the Chapter in continuing its focus on the key projects described above. More information and pictures on the ISOC-E Events page. More events to be announced soon. Watch this space! IPv6 crawler project In November 2009, ISOC England has received a community project grant from ISOC Global for the design and building of an IPv6 Crawler – a set of computers which would crawl through the Internet and collect IPv6 usage data, thus tracking the use of IPv6 worldwide. A short presentation of the project was made at the London INET on 29th September 2010. The deck of slides can be downloaded from here. 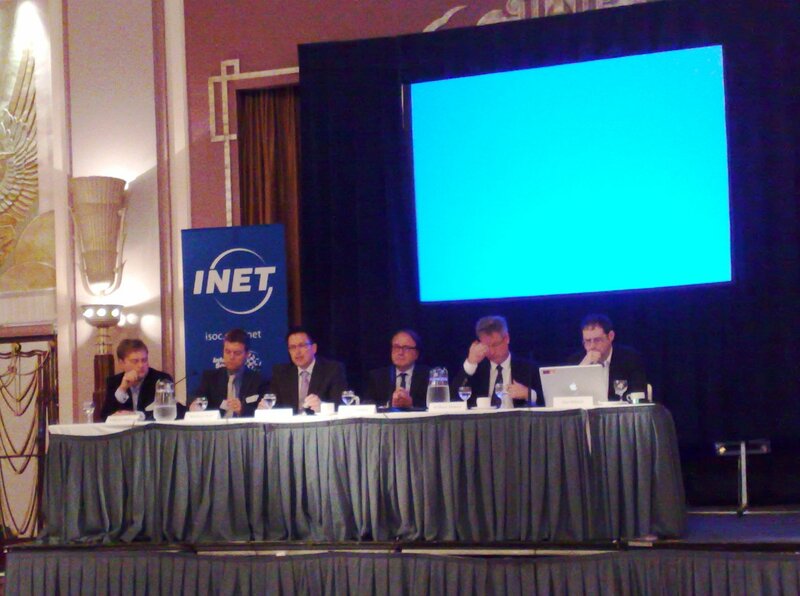 This was hosted by TV Broadcaster and futurologist James Bellini and took place at the Park Lane Hotel in Piccadilly. The range of subjects addressed by the excellent panellists included, but were not limited to the Challenges and Opportunities facingUK businesses, the Health of the Internet, what conditions were needed to ensure future growth of the Internet, and a complete afternoon debating security issues. The full agenda can be found on the event’s ISOC Main Web Site page. About 170 participants attended, and lunch was an opportunity for everyone present to expand their network. The message conveyed was that we should have more of this, more often, and that the UK Internet community needed to continue to explain the challenges facing the business community in business terms. The scenarios, entitled “Common Pool”, “Boutique Networks”, “Moats and Drawbridges”, and “Porous Garden” each offer a different view of the possible future of the Internet. Only the “Common Pool” scenario is actually desirable from a user’s point of view – and it is clear that this is the only scenario which will continue stimulating innovation and supporting growth for industries. The scenarios can be watched on the Internet Society’s Web site. The day also allowed for a brief presentation of results obtained using the ISOC England IPv6 Matrix crawler, a project partially funded by the Internet Society’s Community Grants programme. The deck of slides used in this presentation can be downloaded from here. It contains a snapshot of IPv6 content provision in Europe and in Asia in September 2010. “this is the most significant conference I have been to in the past years. it’s certainly a lot better than any other because the panellists here actually know what they are talking about”; “Thank you to you all, for making the event and day so worthwhile”; “Will there be an INET in London next year? I can’t wait”. 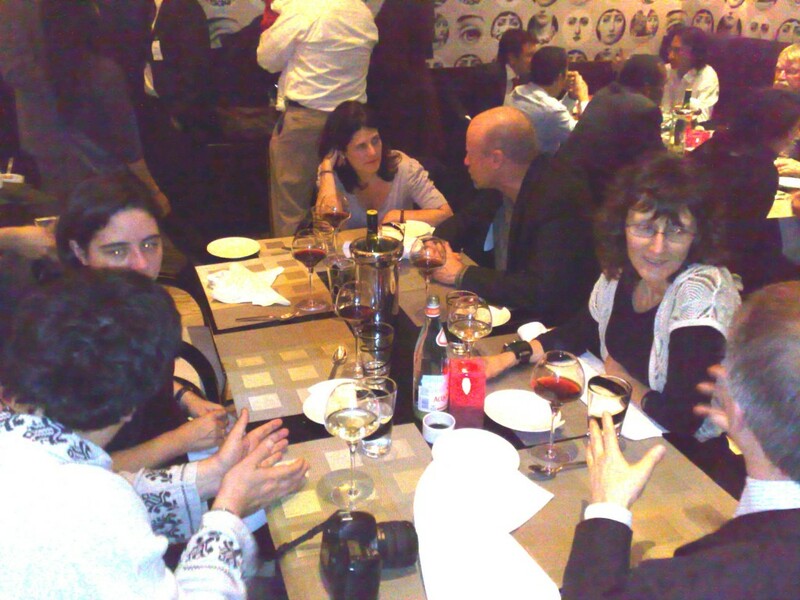 As a preamble to the Internet Society European Chapters meeting taking place on the 30th September in London, Chapter Delegates exchanged ideas at the European Chapters dinner taking place on the previous evening. 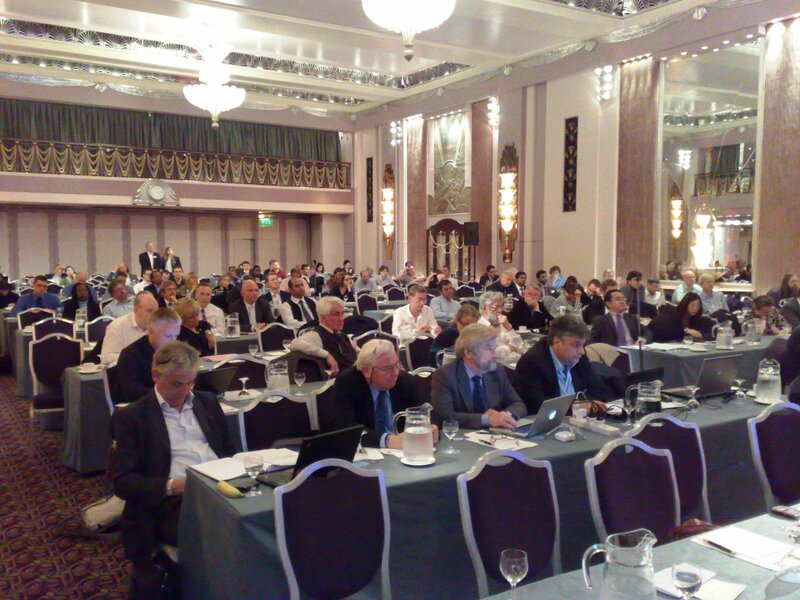 Two ISOC-E events took place in London in September 2008. 22nd September 2008 / The Royal Exchange. We all celebrated OneWebDay together, a day to celebrate the Internet and to reflect on what it meant to all of us. 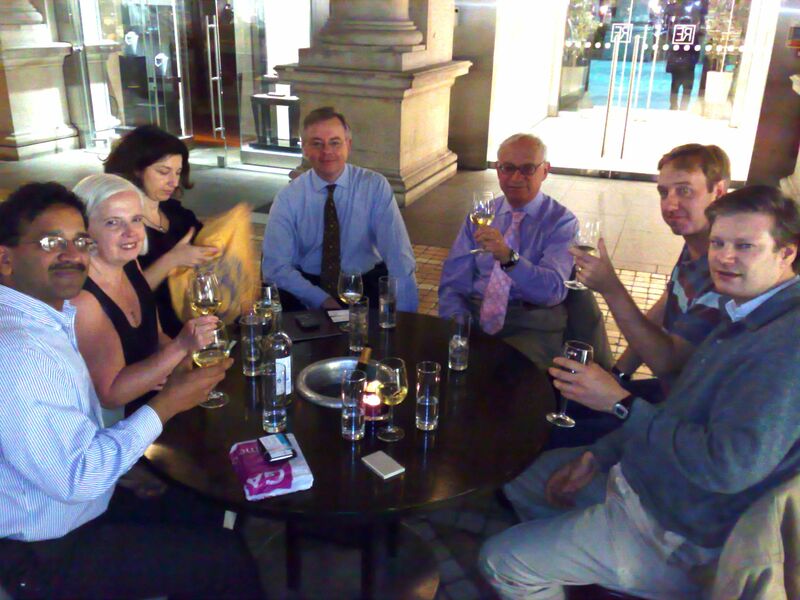 A small group of people met at the Royal Exchange’s Courtyard Bar and conversations ranged from IPv6 deployment to Domain Names, ICANN, and of course, ISOC-E’s future plans. We had the chance of having Dr. Peter Kirstein among us, one of the fathers of the Internet in the UK, and he shared some of his wisdom with everybody. Celebrating One Web Day. 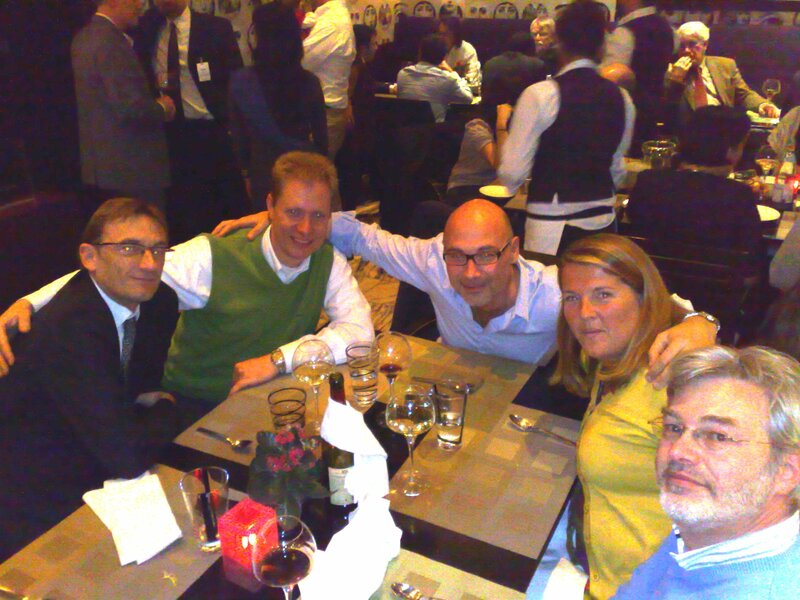 Left to right: Ram Mohan, Tricia Drakes, Desiree Miloshevic, Mark Reece, Peter Kirstein, Rex Wickham, Alan Barnett. The group dispersed at around 21:00 after having shared several bottles of wine and many Internet stories from years gone by. For those people that did not find us: our most sincere apologies. We did advise the (unhelpful) staff of our gathering and post a “One Web Day” shirt in evidence on one of the chairs – next time we’ll make sure at least one contact number is sent to participants in case they can’t find the location. 25 September 2008 / 30 St. Mary Axe. This small event was hosted by Tricia Drakes in a building which has been described as one of “the most ingenious skyscrapers in the world for at least 30 years”. We had the chance of having Dr. Vint Cerf, one of the fathers of the Internet, Chief Internet Evangelist at Google, speaking to us about IPv6 deployment and its effects on security, the next generation Internet, as well as Bit Rot – the problems we are likely to face in the future when our data is incompatible with next generation software. The presentation was particularly interesting in that it touched on technological aspects that resounded specifically with the banking & financial industry present in the City. 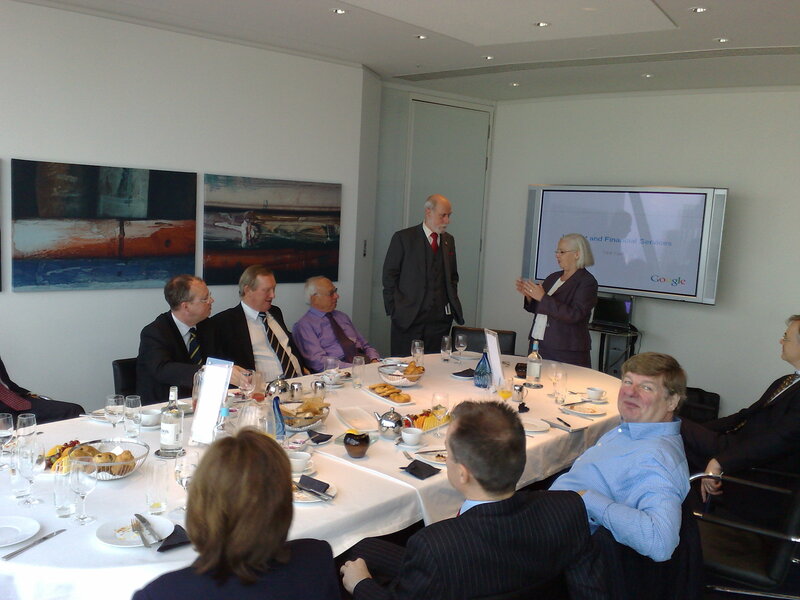 The breakfast reached a close in the late morning by a visit of the Gherkin’s stunning top floor. Breakfast at the Gherkin. Tricia Drakes introduces Vint Cerf before a relaxed audience. We are currently planning future meetings, both in London and at other locations around the UK. If you wish to suggest a location, please email us (address below). With membership spanning all of the UK, it would be great to organise a meeting close to where you live.